Window installation is a critical piece of the puzzle when it comes to increasing your home’s performance, reducing drafts, and boosting curb appeal. While aesthetics and energy savings are heavily marketed by window companies across the nation, it’s important not to overlook the importance of correct window installation. Besides the quality of the window itself, proper window installation is essential for full energy efficiency and accurate performance for the life of the product. While homeowners don’t necessarily think of window installation first when considering window replacement, it should be a priority to learn as much as you can about the process, including the different types of window installation. Understanding the kind of window installation needed for your home—and why—can save you from labor disruptions, or even complete performance failure. This overview dives into the types of window installation performed by professionals ranging from the replacement window industry, to custom home builders. Exterior materials, such as stucco or brick. According to Fine Homebuilding, full-frame replacement is even more complicated on brick or stucco homes. 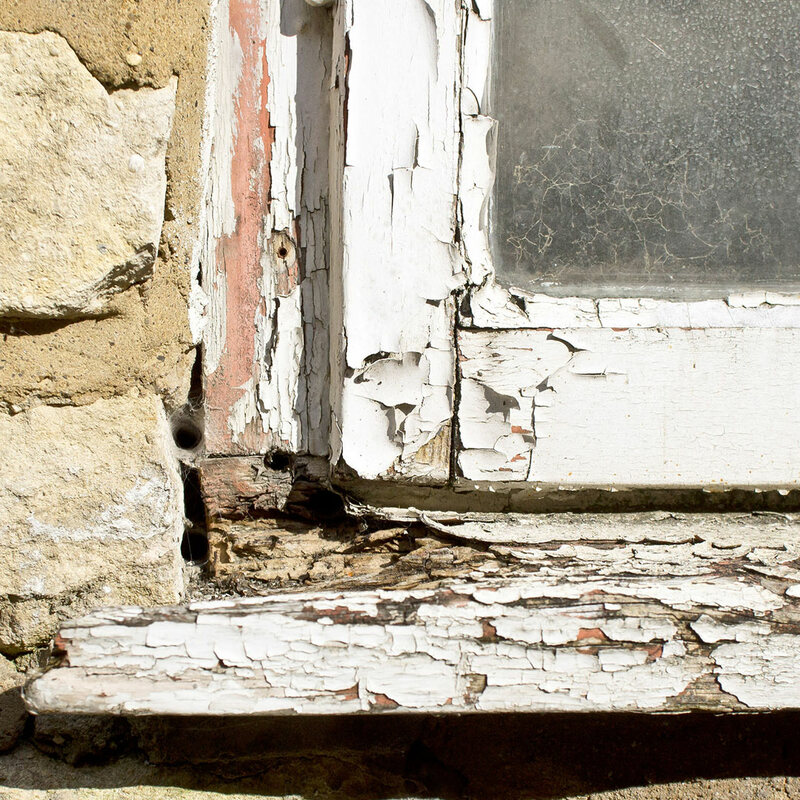 If there is damage to the window frame, such as significant rot or deterioration. The most common place to find window damage is the exterior sill or the brickmould. What is Full-Frame Window Installation? Full-frame window installation is the total replacement of a window. When a full-frame window installation is performed, it involves removing the window, the sill, exterior trim and interior trim. After a full-frame window installation is done, it’s not uncommon for homeowners to touch up the walls with fresh paint to complete the project. Additional materials, including insulation and drip edge, are required to perform a full-frame installation, which increases the cost of the overall project. What Does a Full-Frame Window Look Like? Homeowners likely can’t tell the difference between a replacement window and a full-frame window from the outside of the home. However, these windows have different characteristics as the installation is much different from one another. With a full-frame window, otherwise known as a new construction window, you’ll find that these windows include nailing fins. It’s the biggest difference in terms of appearance with replacement windows vs. new construction windows. These nailing fins are hidden during installation, but they are necessary for the window to become airtight and waterproof by fastening the window in place and flashing it. Homeowners who live in old homes are often reluctant to replace the original windows. While this is often attributed to impacting the home’s character, the other consideration is the state of the original frames. When a window contractor comes to the home, the condition of the current windows is analyzed. If it’s discovered that there is significant damage to the frame, such as rotting or even insect infestation, full-replacement might be recommended. It’s the best choice when a window frame is so worn that the entire thing needs removed and rebuilt. Keep in mind that just because a home is old doesn’t mean it must have the entire frame replaced. What matters is that the original window frame is in good shape. If this is the case, a homeowner can likely move forward with pocket installation instead. New construction homes use a different type of window known as a new construction window. The window along with other elements such as the frame and brickmould are all added at the same time. Since there is no existing window frame (yet), the best choice in this scenario is full frame replacement for a new construction home. Another scenario to consider for full-frame replacement is when the windows were installed by another company. This is to ensure that the entire window unit is properly measured, installed, and no deterioration or structural issues were overlooked during the installation process. Window replacement is an excellent option for transforming curb appeal. If you’re looking to completely change the size and shape of a window, such as swapping an oval window for a picture window, full-frame window replacement is best. What Happens During Full-Frame Window Replacement? Removal of the window and frame down to the rough opening. The opening is then sealed to prevent water and air from seeping inside the home. Insulation is added to further prevent energy loss. When the new window is positioned in place, a water system is added at the sill. This is essential to reducing water damage to the frames and causing problems such as mold, especially if the frames are wood. The water management system depends on flashing in this instance rather than caulking. The best option for window frames that are severely deteriorating. Perfect if you want to change the shape and style of a window opening. 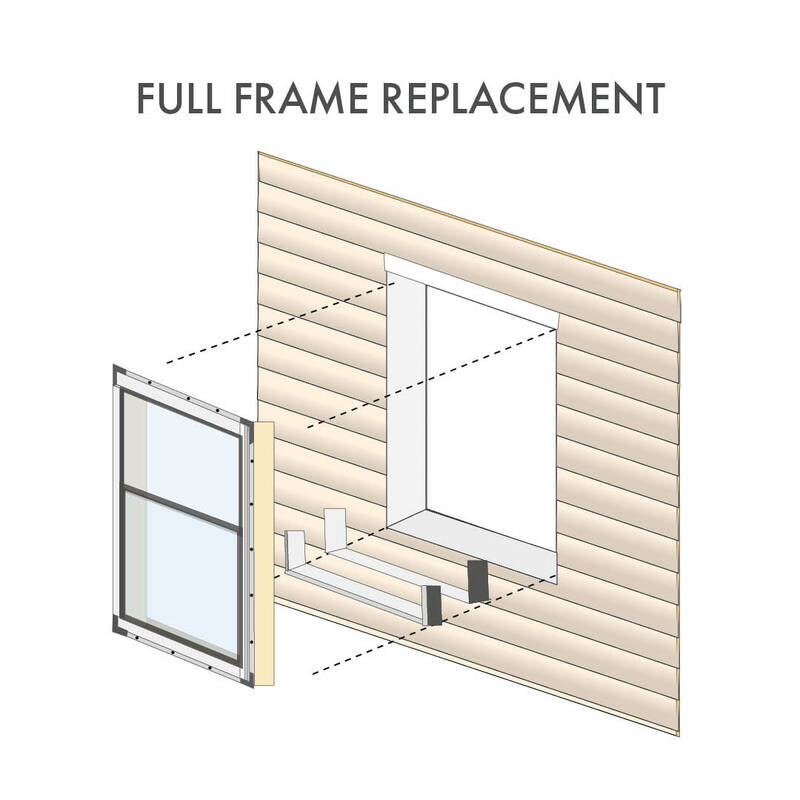 Full-frame replacement allows installers to address lack of insulation around the window frame. Full-frame provides slightly more glass which can extend views of the outdoors. This is because the glass is closer to the original window frame. Full-frame window replacement is labor intensive. When some homes can get new insert replacement window as quickly as one day, full-frame windows will take much longer to install. With older homes, variations between sash openings can cause installation that’s too tight or too loose. This can lead to a myriad of problems including energy loss. With more material and labor required, full-frame window replacement is considerably more expensive than insert replacement windows. Homeowners can pay as much as 50% to 100% more for full-frame than insert replacement windows. 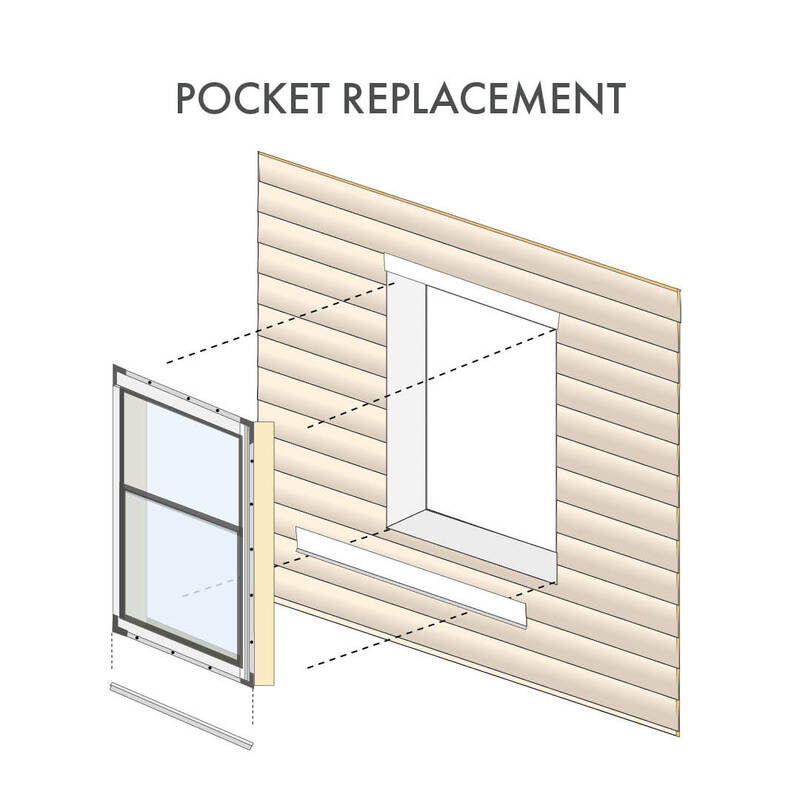 Pocket installation is the method of replacing windows within the existing frame. 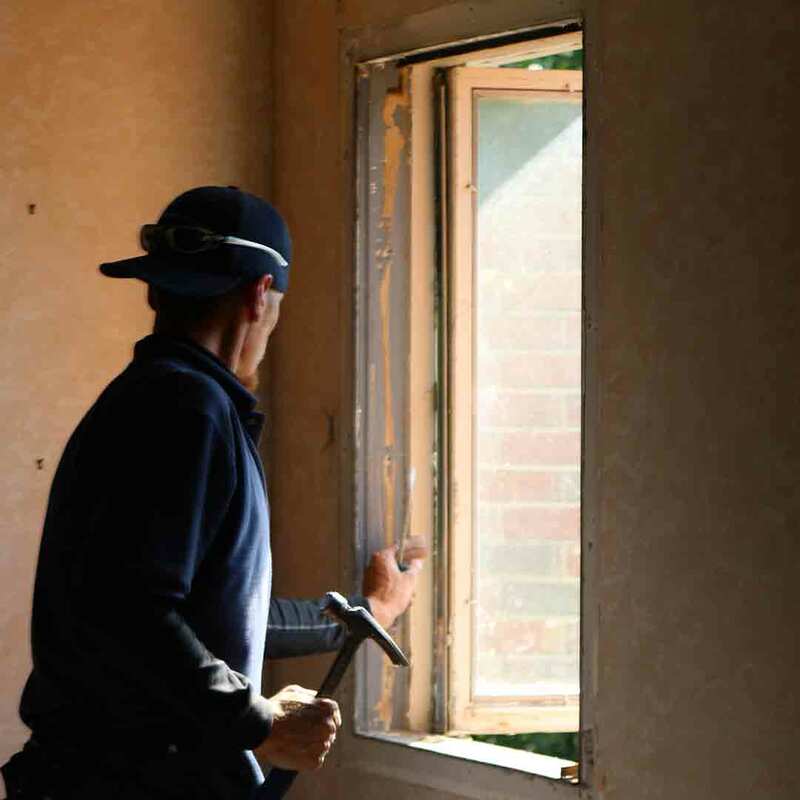 Instead of tearing out the entire unit and rebuilding it, the replacement window---otherwise known as a retrofit or insert window---is slid into place by a professional window contractor. Replacement windows come in a variety of materials, shapes, and sizes, with vinyl replacement windows serving as 36% of window sales in America. What Does an Insert Replacement Window Look Like? Insert replacement windows come in two styles: flush-fin and block-fit. Flush-fin is a generic term that has many name variations in the industry, including stucco fin, retrofit flange, retrofit fin, and retrofit flange. Other major brand names have their own name variations, such as Z-Bar. With flush-fin, the new window is installed on top of the existing perimeter frame. The frame’s flush fins are used to create a seamless application with the main frame of the new window. This is the most ideal window installation method if there is no water or structural damage to the window opening. Block-fit windows are normally used for homes that have existing wood windows---which are typically double hung or casement style. The block-fit window does not include any type of fin. Instead, this window is inserted into the pocket of an existing frame. The original wood frame is left in place and it must be in good condition for this style of window installation to work. Depending on where you live in the country, the exterior material of your home can play a role in the right type of window installation. According to Angie’s List, there is a layer of mesh behind stucco exterior that is difficult to cut. This can make full-replacement difficult, especially without damaging the exterior. It’s the same case with brick. Retrofit window replacement is achievable with any type of exterior. While full-frame window replacement poses a problem with brick or stucco, it’s a snap with insert windows. By using the existing frame that’s already in the home, a window installer puts the new window in place while creating an airtight seal for maximized energy savings. One of the most compelling aspects of vinyl window replacement is that it offers one of the top ROIs in the home remodeling industry. According to 2018 Cost vs. Value by Remodeling, homeowners can expect a return on investment of roughly 75%. This is the ideal upgrade for putting a home on the market to sell or increasing overall properly value. While the cost of replacement windows is widely variable, the common denominator is that they’re less expensive than new construction. The lower price tag is due to fewer materials required to install. This results in less work for the window contractor, and a faster turnaround time for project completion. 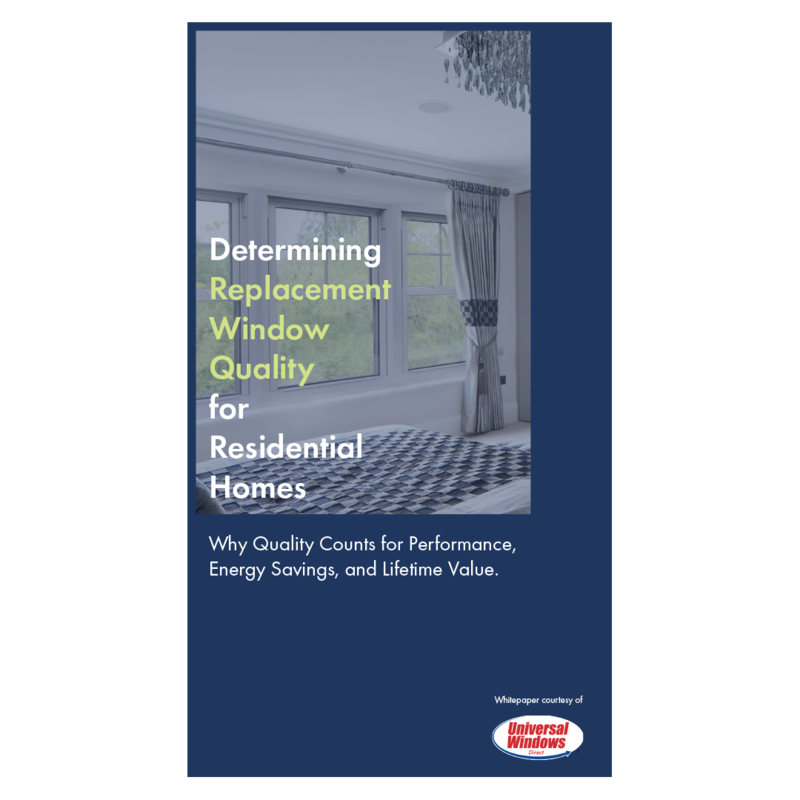 Even though insert replacement windows offer a fast way to upgrade the home, it’s important to emphasize quality performance during the installation process. Experienced window contractors know the best techniques in the industry for correct window installation. Therefore, it’s important to hire a reputable and experienced window contractor to install new replacement windows. Specifically, vinyl window replacement is one of the easiest home upgrades to maintain. There is nearly no maintenance involved for this type of window installation other than occasional cleaning between seasons. However, if a homeowner chooses wood windows, extra maintenance is necessary to keep the window looking beautiful. This includes sanding, staining, and painting the window as well as treating the wood to resist moisture. What Happens During Pocket Installation? Window installers arrive at the home and will cover any items that need protected during the process, such as outside landscaping. It’s helpful to tell the project manager if pets are on the premise so the team can use extra care. Since the new windows are going inside of the old opening, there is generally no need to remove the trim. Once the property is prepared, the old windows are carefully removed. Professional window installers try to not break the glass of the old window to prevent any accidents or injuries. If deteriorated material is discovered, this is addressed before the new window is installed in the opening. As the window is being positioned, the installers check that the area is level and plumb. This is to ensure that the window fits correctly in the space and does not result in any gaps or energy loss. The window is sealed, caulked, and insulated on the interior and exterior. This further promotes window performance and can help homeowners save potentially hundreds of dollars per year on energy bills. 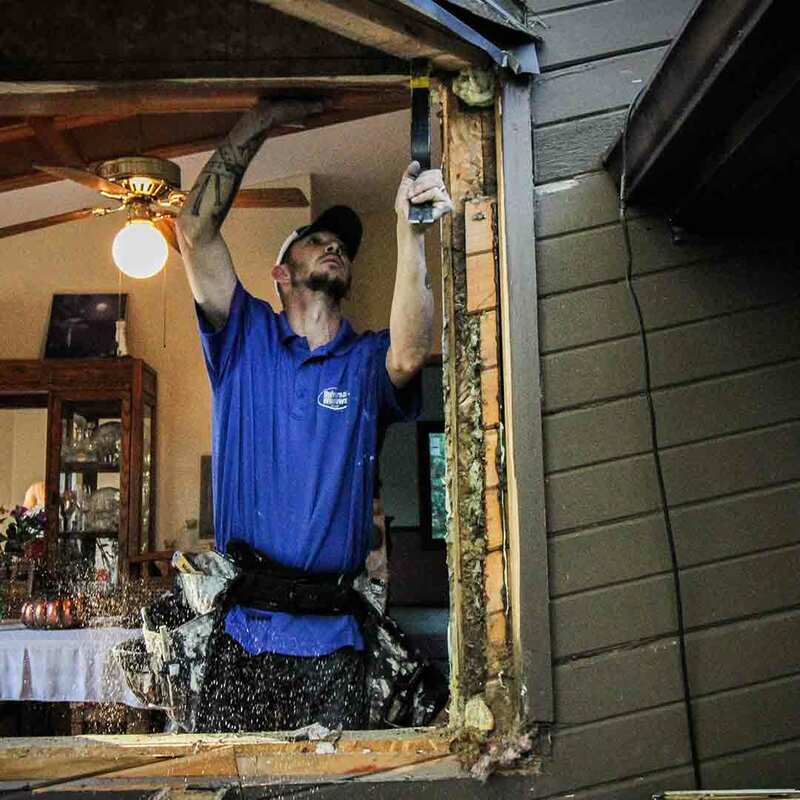 When window installation is completed, the team will clean up the area and remove any remaining debris. This includes debris found inside the home, on the driveway, and any excess materials are bagged or thrown in a dumpster. Your old windows are disposed of or sent to recycling. 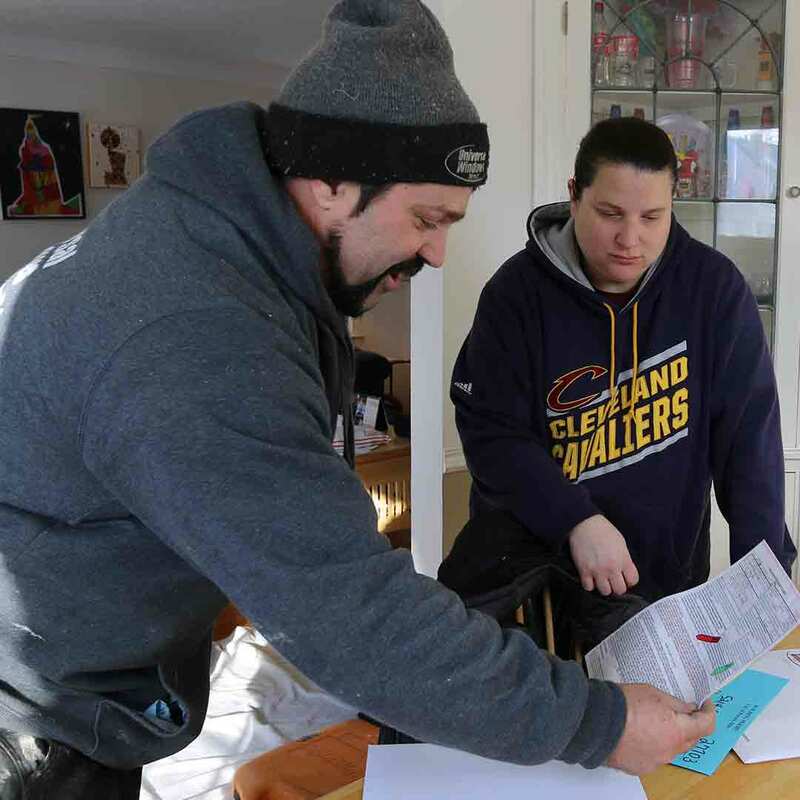 The project manager will do a final inspection and walkthrough to ensure your satisfaction of the project, along with showing you how the windows work and answering any questions. High quality insert replacement windows are very energy efficient, especially when installed correctly. Choose vinyl replacement windows that are certified by Energy Star for best results. Insert replacement windows are an effective method to update old windows of the same style. They can also transition into a new window style if the frame opening is the same size. For example, a picture window can become a bay or bow window if the dimensions are the same. Insert replacement window installation can be completed as quickly as one day, assuming the entire process goes smooth and there are no problems discovered with frames, sills, etc. Vinyl replacement windows offer a variety of shapes, styles, and sizes to customize curb appeal. Homeowners can find a variety of vinyl frame colors, grid systems, and decorative glass options. Choosing mass-produced insert windows from the home improvement store can result in lower quality materials and lower performance standards. Low quality replacement windows can discolor from the sun and potentially peel or warp. Some homeowners may attempt the DIY route with insert replacement windows, especially since they are much less labor intensive than their full-frame counterparts. However, this can dramatically reduce the performance of the window—especially if the homeowner does not have experience with window installation. Attempting DIY installation can void the window’s warranty, leaving any performance failures, mechanical issues, etc. at the expense of the homeowner. While we’ve talked about window warranties before, it’s important to keep this topic in the back of your mind when you’re working with window installation companies. Window companies that back their products with a warranty will guarantee performance and cover many components and aspects of the window, including labor and installation. Always ask to review the window warranty for installation and ask any questions before the projects begins. It’s also important to hire a window company with insurance. If the window company is not insured, the homeowner may have to pay any bills in the event of an accident. Make sure that you verify that your window company in fact has insurance, and do not hire out-of-town contractors without a physical address to an occupied office. Unfortunately, scammer contractors can go from town to town, claiming to offer window installation services and disappear into the night with your deposit. What Window Installation is Right for You? Between the two types of window installations, it can be difficult for homeowners to know what type to choose. If you’re feeling overwhelmed on the options, Universal Windows Direct installs countless windows per year and is highly experienced in the industry’s best techniques. Our installers are certified, insured, and ready to get started on your window replacement project. To learn more about window installation check out this expert guide. Then, set up your free estimate by calling, 800-984-5846. We’re ready to answer all of your questions!